Sarah Aroa (Airey) with her two year old grandaughter, Margaret Broughan. With her two year old grandaughter, Margaret Broughan. 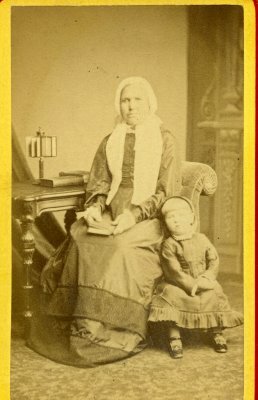 Title Sarah Aroa (Airey) with her two year old grandaughter, Margaret Broughan.